Are you interested in buying a home with an FHA loan but have questions about the down payment requirement? There are some common questions with important answers you should know before you choose the right home for you. August 29, 2018 - Are you interested in buying a home with an FHA loan but have questions about the down payment requirement? There are some common questions with important answers you should know before you choose the right home for you. How Much Will My Down Payment Be for an FHA Mortgage? FHA loan rules calculate the down payment as 3.5% of the adjusted value of the home. Does the FHA-Required UFMIP or Other Costs Affect My Down Payment Amount? FHA loan rules in HUD 4000.1 state that the UFMIP (Up Front Mortgage Insurance Premium) and other costs are calculated as part of the loan amount (where applicable if the borrower chooses to finance the UFMIP) but the down payment is calculated strictly on the value of the home. Furthermore, all closing costs are considered separate expenses from the down payment; these expenses are not considered “deductions” from the down payment amount but completely different costs that must be paid along with the full amount of your required down payment. FHA standards are not the only ones that apply for home loan transactions so if state law has a say in this area, that law would apply regardless of what is written in HUD 4000.1. Your lender’s guidelines may also have a say depending on circumstances. Is There a “No Out-Of-Pocket Costs” FHA Home Loan or an FHA Mortgage With Zero Down Payment? FHA home loans have a minimum required investment or down payment of 3.5% of the adjusted value of the home. Some people confuse FHA mortgages with USDA loans or VA mortgages which have a no down payment option. FHA mortgage loan rules in HUD 4000.1 state that the down payment requirement is always a factor for new purchase home loans. Can I Get Down Payment Assistance From the FHA for My Home Loan? The FHA itself does not lend money or provide down payment assistance programs. The FHA guarantees the loan but does not deal with money. 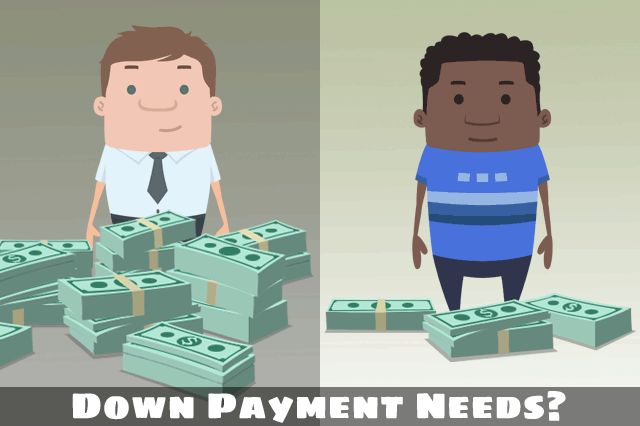 Is There any Form of Down Payment Help With My FHA Mortgage? FHA loan rules permit third parties with no financial interest in the transaction to provide down payment assistance in the form of gift funds. These gifts must meet FHA requirements and your loan officer must document the source of all funds. Your down payment gift funds cannot be provided in cash, and must have a paper trail showing the exact sources of funds according to FHA home loan rules in HUD 4000.1. Additional lender requirements may also apply.